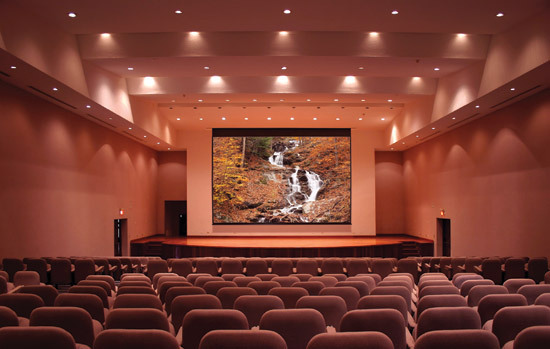 Discuss the various factors that must be considered in selecting or specifying a projection screen for a specific project. Explain the implications of the relationship between the gain of the screen surface and the projector throw distance ratio on image quality. Specify the correct screen format, size, model, and viewing surface for a given type of presentation. 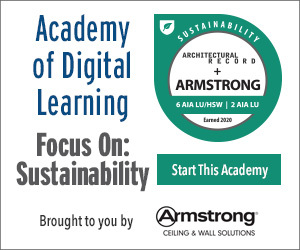 Maximizing the learning potential of the AV experience involves designing an effective projection environment. Today, that environment depends heavily on the right projection screen, even more so than the type of projector. There are many types of projection screens on the market today, but effective screens share a common trait: They reproduce an image so that everyone in the room can see it—or read it—easily. Choosing the screen that can attain that objective can be a complicated process however. This article will present an overview of projection screens and serve as a primer on the various factors that must be considered in selecting the appropriate screen for a given situation. Effective purchasing decisions depend on a variety of factors, including budgetary considerations, the size of the room, type of presentation, as well as more technical concerns including the screen type, screen size, aspect ratio, screen model, and viewing surface for the application. Before a projection screen can be properly selected, systems designers must know what type of content will be viewed and if the system will be used in various ways. Other considerations include the seating configuration, ambient light levels around both the screen and the viewer, and the dimensions of the viewing room, including ceiling height. The projection screen is a major influence on the quality of the viewing experience. Photo courtesy of Draper Inc.